This weekend was a King Tide weekend. These tides are higher than usual winter tides that happen when the sun and moon reinforce one another’s gravitational pull. 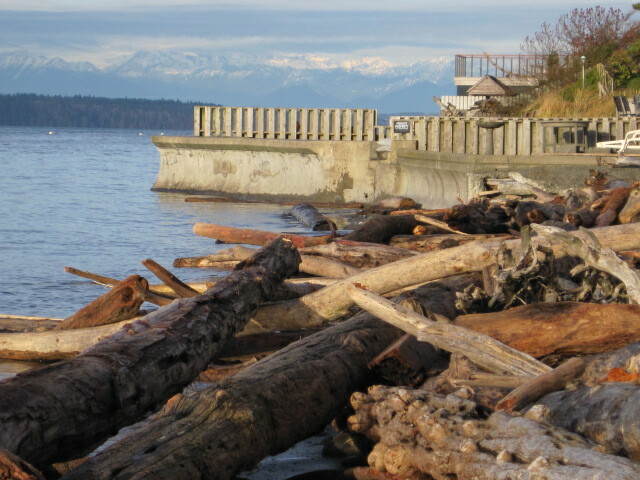 The State of Washington Dept of Ecology is inviting the public to take photos to document the tides effect. They have set up a Flicker Group to post the photos on. I did some preliminary work for my own scientific experiment by taking photos of the Ocean View Beach area under a regular tide. 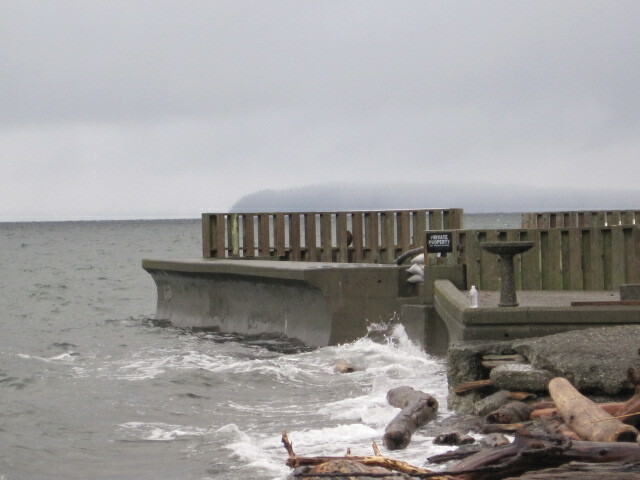 On New Years Day the high tide was around my walk time to the beach and it was published at 11.6 ft. The one today was at 12.7 ft. 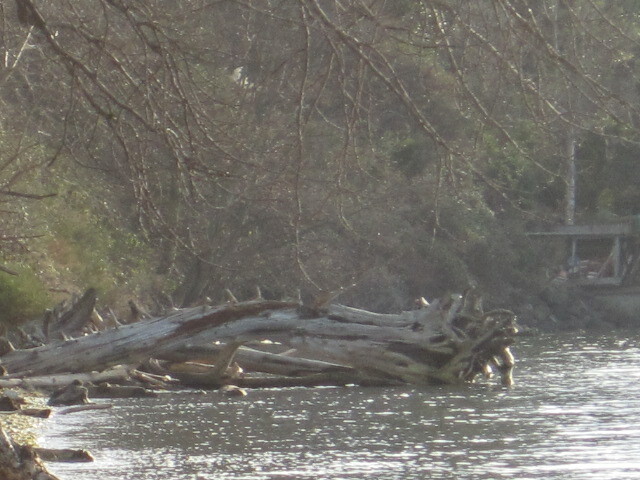 The South View – I used a big snag log that has been stuck forever in the beach. Someone years ago gave it the name High Tide Fort in black magic marker. What a great landmark to use for high tide photos. 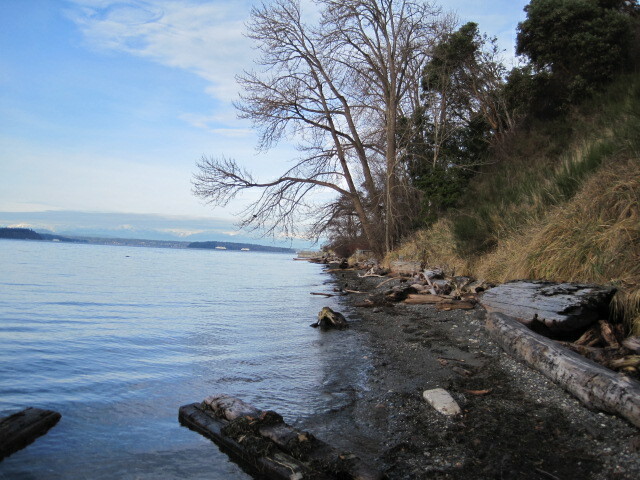 Here is a picture showing how the tide was up in the driftwood and there was no beach to walk on. The few crows that were around (which is the small family that owns that end of the beach) had to be fed on the grass area behind the beach front. Yesterday I went to another park here in Seattle to observe the King tide and check out a sale that was posted on Craig’s List. It said that everything was for sale in the house including fixtures. The house was going to be demolished so anything was fair game. I was all set early in the morning to get a two for one deal. It turned out to be a bust on the sale. The guy was an ex-renter who was trying to sell stuff in a house that had been condemned by King County to build a water run off pond. When I got there the house had crime tape around it and two of King County’s finest protecting the County’s assets. One of the officers I talked to called it a fraud in his Boston Accent. Yes he was from Boston working in Washington State. 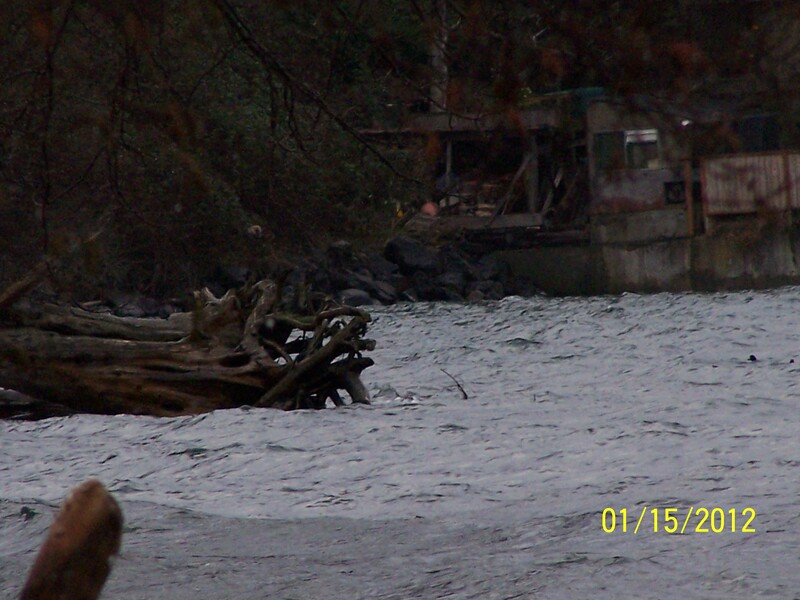 As to the King tide at Lowman Park, I got some good pictures of that too. 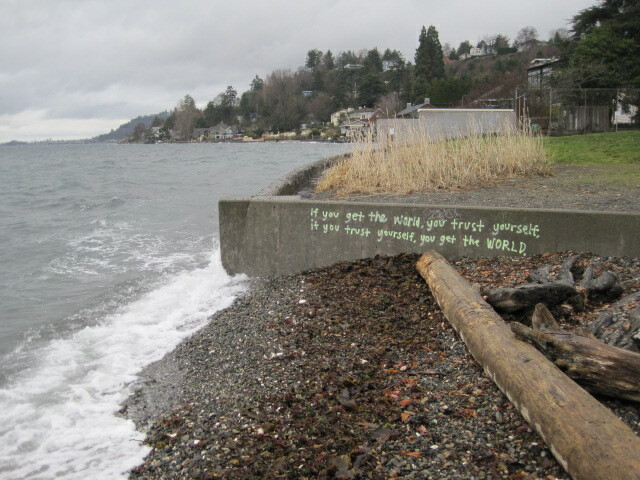 Here is a still of some cool graffiti on the bulkhead that also shows how high the tide was. I miss living in West Seattle. Seeing the pictures brings a little bit of home to me. I don’t miss the traffic though! 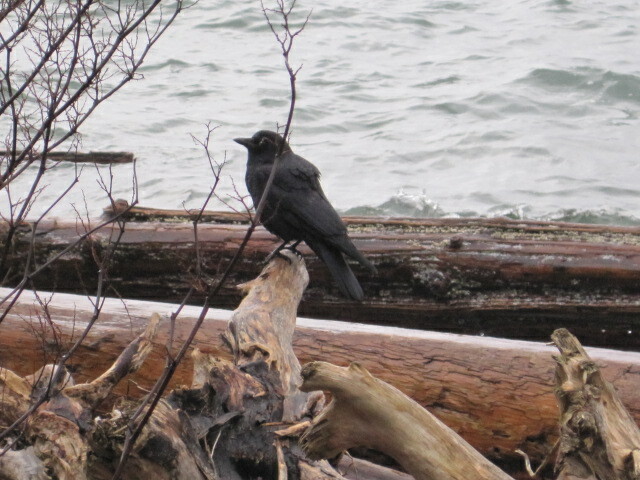 Would love to come go with you on one of your excursions to watch the crows and learn more about them. They are so smart and are pretty funny at times. Where I used to live we had a family that had a nest in a hemlock right out in front of the apartment I lived in , so I got to see the babies being raised and taught the ways of the crow world. It was great fun to watch them! Nice post. Of course if you don’t know what it usually looks like, you don’t get the full iimpact. I’ve just posted a very small article on the king tide in my neck of the woods if you are interested.